Newcastle United v Fiorentina friendly 2011 | NUFC Blog. Archive for tag: Newcastle United v Fiorentina friendly 2011. Fiorentina: A stiff test for the lads. 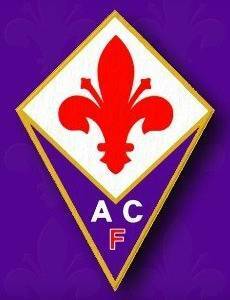 Newcastle United have announced a friendly match against Italian Serie A side, Fiorentina. The match will be played at St James’ Park on Saturday, 6th August with kick off at 3PM. So far, Newcastle had previously announced two friendly games against Darlington at the Darlington Arena (15th July), and Leeds at Elland Road (31st July). Between these fixtures, the club will be on a three match tour of the United States where the Magpies will face Sporting Kansas City (July 20), Orlando City (July 23) and Columbus Crew (July 26). The Fiorentina game is the first home friendly to be announced, and of course, the side from Florence should provide the stiffest test so far of the Magpies’ pre season fixtures, and should give us a good look at how the new signings fare against quality opposition. Last year, they finished ninth in Italy’s Serie A under Serbian manager, Siniša Mihajlović, and their squad features players such as World Cup winning Italian international, Alberto Gilardino.